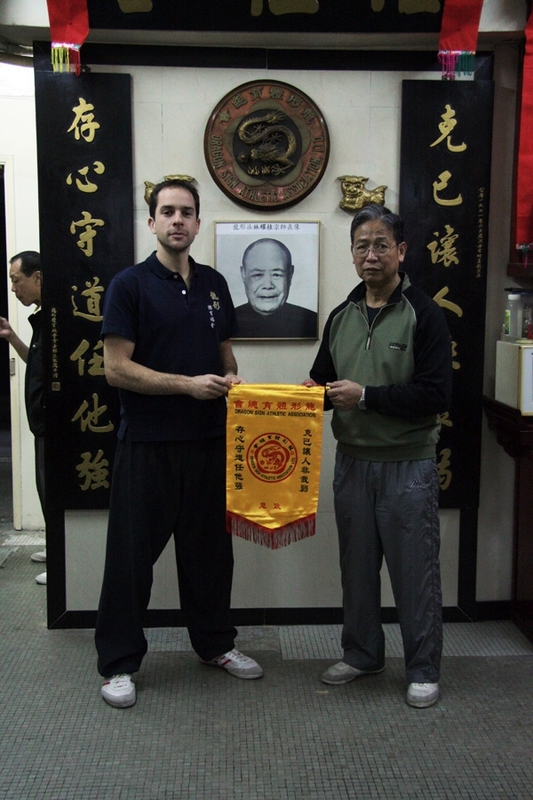 Sifu Tom Braithwaite is a senior student of Grandmaster Cheung Kwok Tai, from whom he has been learning since 1998. Master Cheung was a student of Lam Woon Gong, the son of Grandmaster Lam Yiu Gwai (the founder of Dragon style kung fu). Tom has been authorised to teach Dragon style kung fu by the Dragon Sign Athletic Association in Hong Kong, the governing body for the style. He is a foreign president of the Dragon Sign Athletic Association and is also the first Westerner to have been awarded a teaching certificate by the Cheung Kwok Tai Wushu Association, qualifying him to teach Dragon, Yang style tai chi and Liu He Ba Fa. Tom has been certified at advanced level with distinction at Yang style tai chi and Dragon style kung fu by the University of Hong Kong. He also holds certifications in Wadoryu Karate, Viet Va Dao and has a black belt Hung Kuen kung fu. 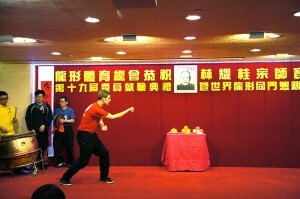 Tom has been invited to China and Hong Kong as a judge for local kung fu competitions. He has also judged a variety of nationwide competitions in the UK. 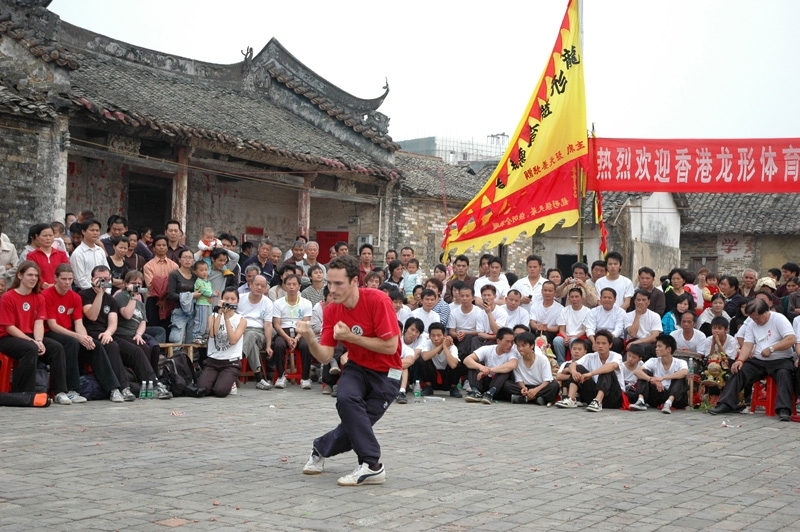 In this photo on the left, Tom was greatly honoured to be the first and only non-Chinese person to be invited as a judge for the World Dragon Championships, held in Foshan, Guangdong province, in 2010. Three DMAA students won 5 medals at this event, competing against 200 of the best Dragon style kung fu practitioners from across China, Hong Kong and the US. Check out the article in The Metro newspaper or the BBC TV footage here. Following his passion for martial arts since childhood, Tom trained first in Karate, becoming the captain of his school team, then in Viet Va Dao, the traditional style of Vietnam whilst living in Paris, France, and then in Hung Kuen kung fu for several years in the UK. During this time, Tom won various national tournaments and in 1997 he entered into the European Kung Fu Championships where he won a Gold Medal for free sparring and a Silver Medal for forms. Tom then emigrated to Hong Kong where he studied Southern Dragon style kung fu, Yang style tai chi (including Dong’s fast form) and Liu He Ba Fa directly from one of the China’s most highly regarded masters – Cheung Kwok Tai. After showing his dedication to his training over the first four years in Hong Kong, Tom was accepted by Grandmaster Cheung as a ‘closed door student’ through a traditional ceremony where he was taught the signature Dragon style form, Long Ying Mor Kiu. For the final few years of his time living in Hong Kong, he trained privately with Grandmaster Cheung for at least 8 hours every day. This intensive, personal training gave Tom a unique insight into Chinese kung fu that set him on the path to develop a depth of ability and a level of understanding that is very rare. 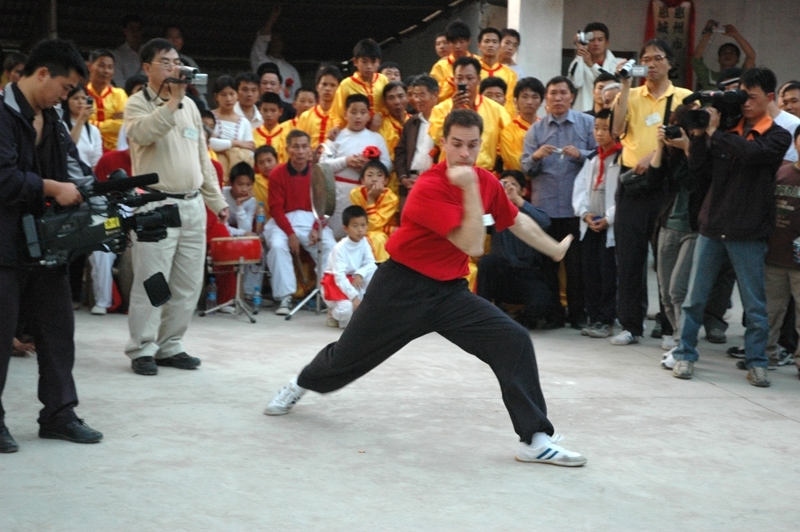 In 2002, Tom was the first Westerner ever to enter the Hong Kong Kung Fu Championships where he won a Gold medal in the Traditional Styles section, performing Dragon style. In 2003, he entered the Hong Kong Internal Kung Fu Championships, again the first and only Westerner ever to try, and won another Gold medal in the Non-Weapons section, performing Liu He Ba Fa. Tom also won a Bronze medal in the Weapons category, performing traditional Yang style Tai Chi sword. Later in 2013, Tom was initiated into the higher ranks of the style through another traditional ceremony where he was taught the Seven Flowers of the Plum Flower Fist – the most advanced form in the system. 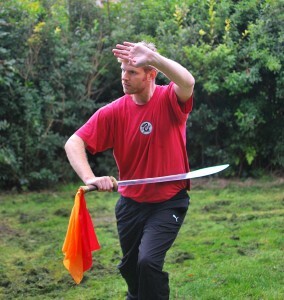 Jon Younghusband is a senior student of Sifu Tom Braithwaite and has studied Dragon style kung fu and Yang style tai chi under him since 2009. Jon started studying martial arts at a young age, initially training in Jiu Jitsu. He was first introduced to Chinese martial arts at the age of 20, where he studied Xing Yi, focussing on 5 element linking and body conditioning. After moving to Brighton in 2008 Jon decided to further his kung fu training, trying out various schools until he found the DMAA in 2009. Jon was drawn to Dragon style primarily because of its authenticity; from the outset it was obvious that this was not your average “Westernised” version of kung fu. The emphasis was not on flashy moves and unrealistic fighting but on precise method, correct feeling and development of internal power. It was clear that the classes were being taught in a very traditional manner. Jon has accompanied Sifu Braithwaite on several trips to Hong Kong, where he received close and personal attention from Grandmaster Cheung Kwok Tai. Having shown great talent and dedication, Jon was accepted into the Dragon family through a traditional ceremony in 2015, where he was taught the signature Dragon form “Long ying mor kiu”. He is the only person Sifu Braithwaite has authorised as an instructor and currently teaches all classes in Brighton and Hove. Sifu Braithwaite founded the Dragon Martial Arts Association (DMAA) through which he now teaches these unique arts to students of all ages and abilities. The DMAA holds classes in Fernhurst, West Sussex, and Brighton & Hove, East Sussex. Class sizes are limited so students always receive a high degree of personal attention. The DMAA also provides tailored courses for corporations as team-building exercises, practical self defence courses for teenagers (or adults) and demonstrations where students regularly perform at events across the UK and abroad. Each year, the DMAA organises training seminars in the south of France. Here students receive intensive, personal training with Sifu Braithwaite, get the chance to focus on their own practice and enjoy a short break in the beautiful setting of a medieval chateau in a remote, unspoilt village in Provence. 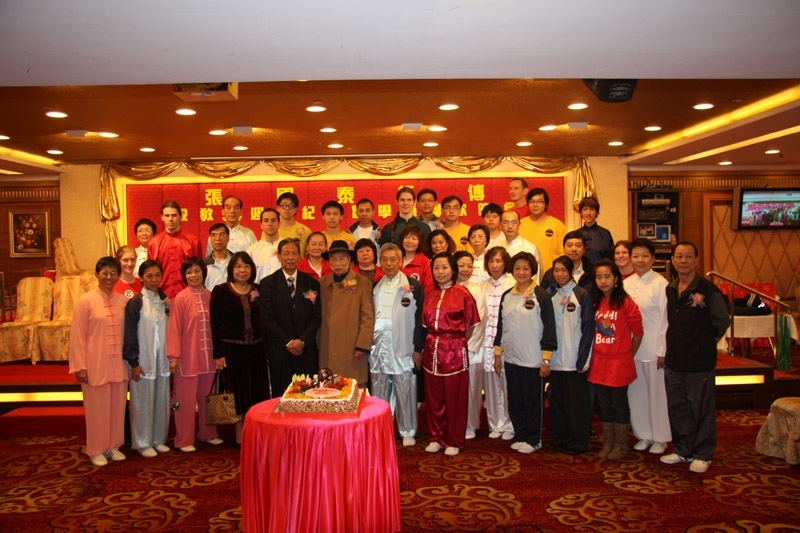 In 2010 and 2013, we were also joined by Grandmaster Cheung Kwok Tai and his family, who intend to be with us at these seminars on a regular basis. 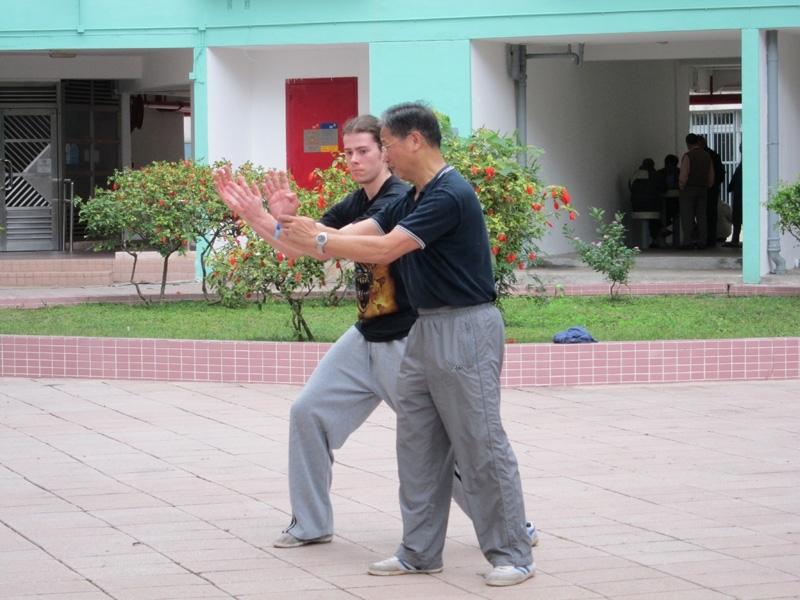 The DMAA also organises annual trips to Hong Kong and China, where students can immerse themselves in Chinese culture and receive personal, 1-on-1 tuition from some of the world’s most highly respected masters of kung fu alive today. These are not ‘coach tours’ with a few superficial training sessions thrown in – instead DMAA students get to live and breathe the kung fu lifestyle in its most traditional and authentic form. In Hong Kong, the DMAA and its members are always warmly welcomed into the Dragon family and by the local kung fu community. Alongside a rigorous training routine, students regularly perform at prestigious events, such as the Dragon family annual party, kung fu masters’ birthday celebrations, new kung fu school openings, religious festivals, temple ceremonies and for Chinese government officials. Many of these performances are filmed for Chinese TV. These trips to Hong Kong and China are truly unique experiences that not only give students an incomparable boost to their knowledge and ability in kung fu, but they are also an incredible opportunity to learn about Chinese culture, get to know and be known in the local kung fu community. Please take a look at the gallery section for more photos of the DMAA in action in France, China and Hong Kong. We have also been featured in The Metro newspaper and on BBC TV. Tom’s sifu, Grandmaster Cheung Kwok Tai, is well known throughout the martial arts community as a leading authority on Chinese kung fu and Chinese medicine. Amongst his long list of accolades, he is a judge for Chinese national Wushu tournaments and he is a Chinese national tai chi Gold Medalist. Grandmaster Cheung is widely acknowledged as one of the world’s leading practitioners of Dragon style kung fu, having been the senior student of Lam Woon Gong, the son of Grandmaster Lam Yiu Gwai (the founder of the style). Grandmaster Cheung is also one of the world’s few genuine experts in the rare art of Liu He Ba Fa, having learned from Tsan Tzan Yi and Choi Ho Ching do djeung. For Tom and his students to have such a close relationship with a Grandmaster of this calibre is a rare gift indeed and one for which he is eternally grateful.